With Mobile development we work on system that require SMS VAS (Value Added Services ) exposure to your application, existing or being built. We provide you a SMS Short Code, that works well on NTC, NCell, UTL etc, with this SMS short-code your customer base can get a 24/7 SMS responsive services like, financial queries, updates notification etc. Further, we develop Java based Mobile apps for hand sets. Applications like financial transaction apps, notebooks, custom calendar systems for you organization, games etc. Internet is being widely popular throughout the country in these preceding years. Advancements in mobile technologies has shifted the focus of traditional enterprise to mobile as a new and reliable medium. Hand-held devices are coming in their full 3G potential, visualizing this and its possibilities, we accept Mobile as an effective communication medium for your application. Hence, if you need mobile version of a web application or desktop application we build, we will work it out. Also, we can integrate your existing application to Mobile medium. 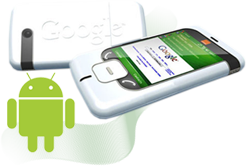 This platform generally produces portable applications, It is often used to provide simple applications on feature phones. Applications (including their data) cannot be larger than around 1 MB if they are to run on most phones. They must also be cryptographically signed in order to use APIs such as the file system access API. This is relatively expensive and is rarely done, even for commercial applications. Java ME runs atop a Virtual Machine (called the KVM) which allows reasonable, but not complete, access to the functionality of the underlying phone. The JSR process serves to incrementally increase the functionality that can be made available to Java ME, while also providing Carriers and OEMs the ability to prevent access, or limit access to provisioned software. Android is a Linux-based platform from the Open Handset Alliance, whose 34 members include Google, HTC, Motorola, Qualcomm, and T-Mobile. It is supported by over 34 major software, hardware and telecoms companies. The Linux kernel is used as a hardware abstraction layer (HAL). Application programming is primarily done in Java. The Android specific Java SDK is required for development although any Java IDE may be used. Performance critical code can be written in C, C++ or other native code languages using the Android Native Development Kit (NDK).